Turkmenistan celebrated the harvest festival, summing up the results of the agricultural year. 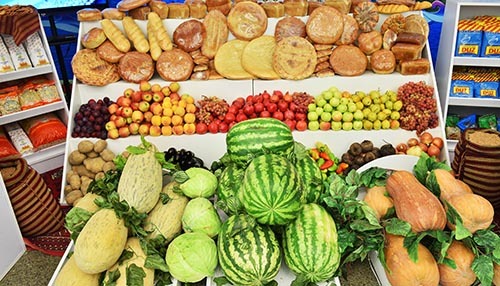 The chief celebrations took place in Ashgabat, bringing together representatives of the best performing farms from all the regions of the country. By President Gurbanguly Berdimuhamedov’s decree, best farmers, machine operators, agronomists and other agrarians who achieved the highest results in work this year were awarded the medal “Watana bolan söýgüsi üçin” (For love of the Fatherland) and the title “Honored Worker of Agriculture of Turkmenistan” in a ceremony at “Mekan” (Motherland) palace in Ashgabat. The guests of the festival viewed with great interest an exhibition of achievements of the agro-industrial complex of Turkmenistan. At the exhibition, relevant departments presented the products of cotton growing and processing, melon growing, animal husbandry, food and textile industry, as well as modern agricultural machinery.